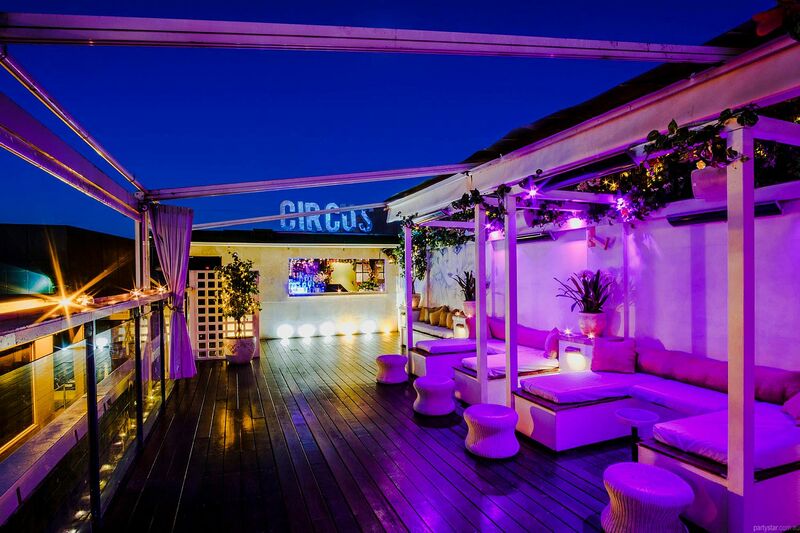 Situated in the heart of Chapel Street and the core of Melbourne's nightlife, Circus Bar & Nightclub is the perfect place for any function. 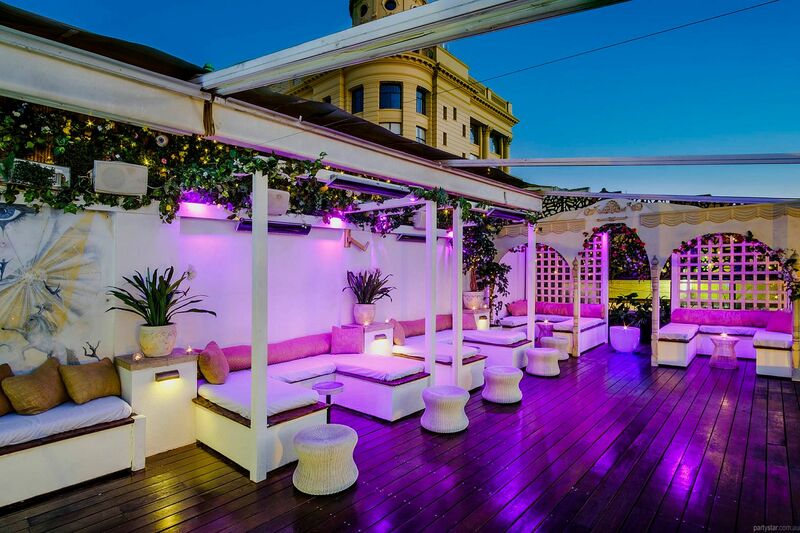 For private parties with style, the Rooftop is perfect. 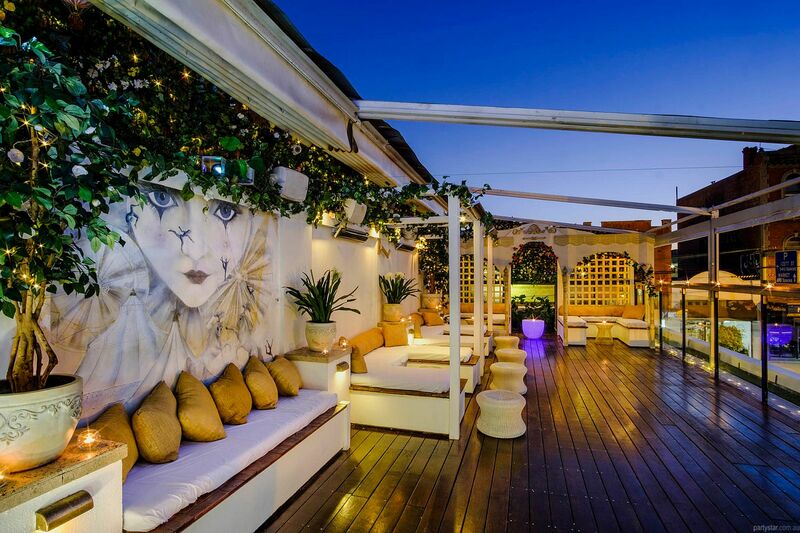 Overlooking Commercial Road, it features sumptuous day beds, a retractable roof with side covers, a 'magic garden' themed private bar, and plenty of room to dance. It is where fantasy and elegance meet luxe vintage circus. Retract the roof on balmy summer evenings and let your party sizzle, with open air, moonlit ambiance, alfresco fun and loads of atmosphere. The outdoor heating allows for an equally enjoyable time when the temperature drops. The club holds an all-hours licence which allows partying until the sun peeks through the cracks. Party upstairs, then head down to the main bar for some big beats. Smoking area: Guests can smoke throughout the Rooftop. Heating and retractable roof. State of the art sound system. All other audio and visual equipment can be arranged for specific functions. If your own tunes are not arranged, music can be piped in from the resident DJ who plays house music from 10.30pm Fridays and Saturdays downstairs in the main room. The space opens to the public at 12.30am. Guests get in free, saving the entry fee of $20 per person. Feel free to join us in the main bar after your function, for some house beats and a rocking vibe. 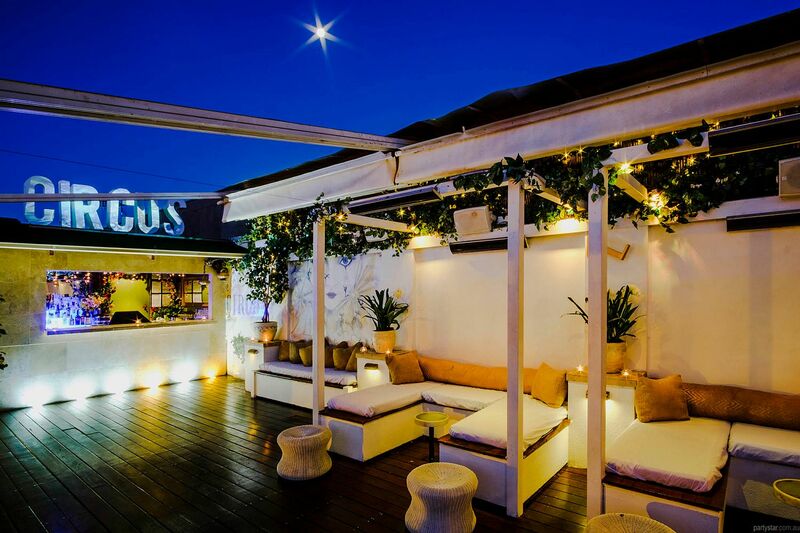 Or return to the Rooftop after 12.30am when it reopens and becomes a chillout zone and smoking area. Under 18s not permitted unless guests are accompanied by their own parents or legal guardians. No exceptions will be made (no wristbands, no stamps) . Sunday: $2500 minimum spend. Monday-Thursday: $4000 minimum spend for 5 hours' hire.